Discover the ‘joie de vivre’ Polynesian style, in two of the world’s most beautiful island settings- Moorea and Bora Bora. 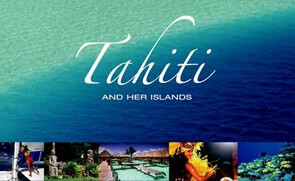 The magic begins as you board your flight bound for the amazing islands of Tahiti and French Polynesia. Welcome to Tahiti! With a fragrant tiare tucked behind your ear, and a fresh flower lei draped around your neck, you’ll be whisked off to your 10 minute connecting flight to Moorea, the liveliest of Tahiti’s outer islands. Zip around the 37-mile perimeter road with your rental car–it’ll take you just over an hour. Or take your time… stop for a swim, lunch at a local restaurant, detour into the lush interior and stunning viewpoints… and take the whole day. Enjoy a night out at the spectacular Tiki Village dinner and dance show. 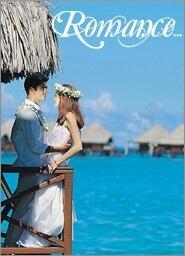 Discover the joy of life Polynesian style, in one of the world’s most beautiful settings. Just an hour’s flight brings you to Bora Bora. You have four full days to fall in love with this magical island. Snorkel and scuba in coral gardens, sail to uninhabited isles, swim in sparkling lagoon waters, and join a 4×4 jeep safari for an adventure into Bora Bora’s wild interior. Or just enjoy a good book under a palm tree and let the world go by. Enjoy an eveing out for dinner at the famous Blood Mary’s restaurant. Fly back to Tahiti this morning and connect with your return flight to Los Angeles. 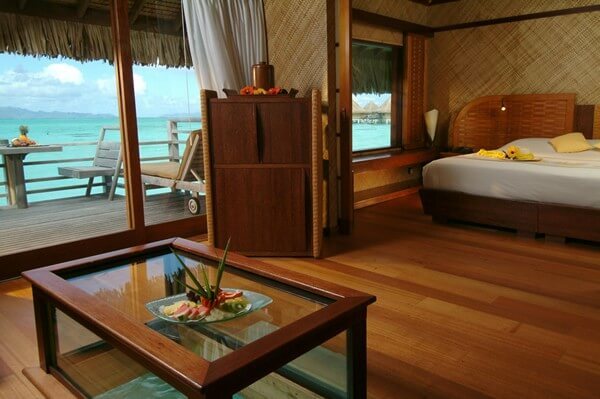 *InterContinental Bora Bora Le Moana Resort and Sofitel Bora Bora include daily breakfast with hotel stay. Seasonal air and land supplements apply. Ask for details at time of booking. Air fare supplements apply for Air Tahiti Nui flights on Friday and Saturday.” to say “Seasonal supplements apply. Air supplements may apply for Friday and Saturday travel.